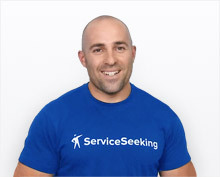 ServiceSeeking.com.au always aims to improve the various features on the website so that customers can find it easier to use. For starters, we’ve changed the colour scheme of the site and added features that will definitely be helpful to you. One of the improvements that we made is the Dashboard tab, which contains an overview of your entire account. 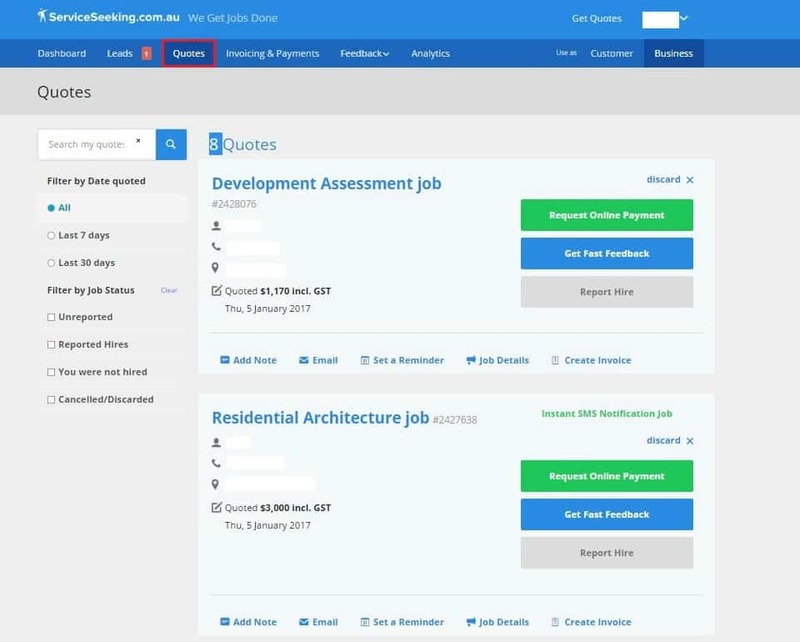 On the top half of the Dashboard, you’ll see the Available Leads box where you can view jobs that match your categories. There’s also the Announcements box where you can find the latest news on ServiceSeeking.com.au. 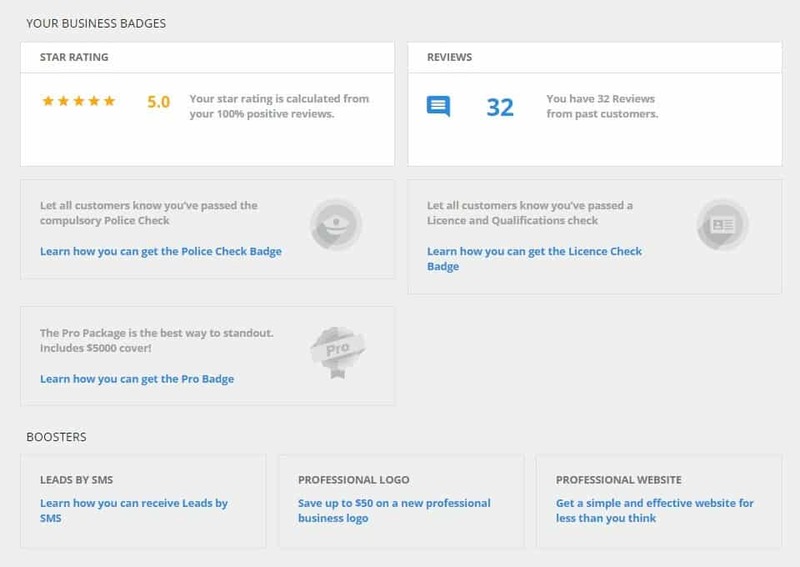 Meanwhile, on the bottom half of the Dashboard, you can see your star rating and the number of reviews that you currently have. This is also the area where you can see your badges. If you haven’t completed You can also find here all the different “boosters” that you can avail of. These are optional add-ons that you can sign up for if you want these features on your account. Your Service Seeking profile has plenty of features that are designed to help you reap the maximum benefits of your account. Here is a rundown of the features that you can see in your account. 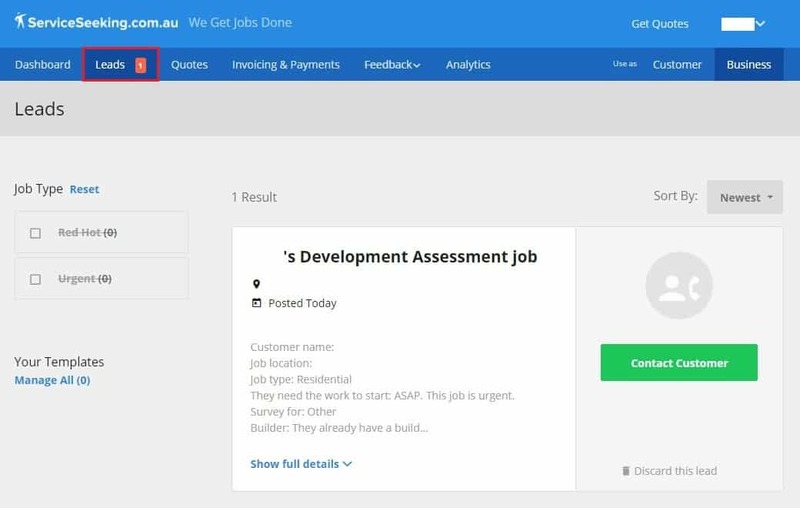 The Leads tab is where you can see all the jobs you can quote on. Jobs can be sorted by either the Newest or the Closest. If you choose Newest, the most current jobs will be displayed first. On the other hand, selecting Closest will display on top the jobs nearest to your location. You can also discard a lead if you’re not interested in doing that particular job. The Quotes tab displays all the jobs you’ve quoted on and their current status. If you’re looking for specific jobs, you can easily find them by using the date and job status filters. 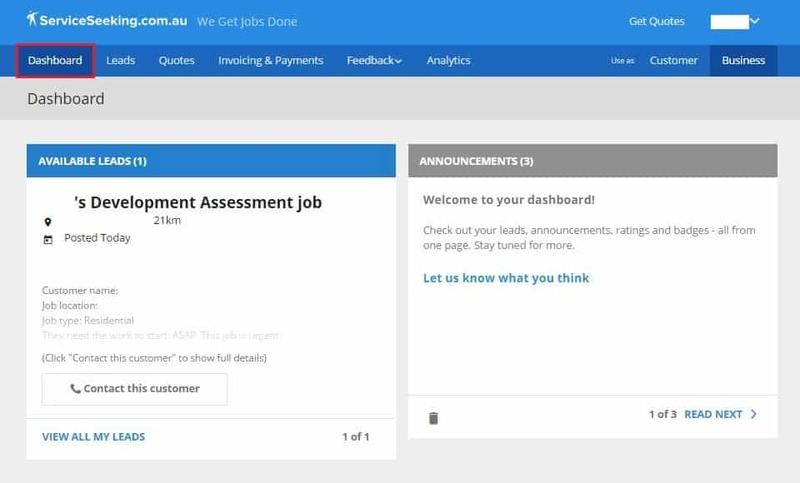 This tab is where you can request online payments for jobs you’ve already completed and create invoices for customers. 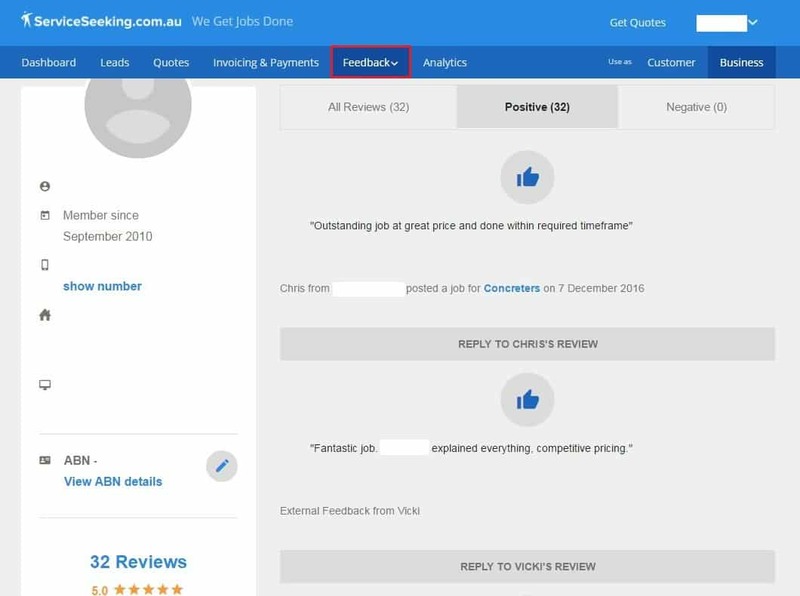 The Feedback tab displays all your customer reviews, both positive and negative. Service Seeking customers aren’t the only ones who can give feedback, though. Using the External Feedback tool, you can ask customers who don’t have Service Seeking accounts to give their thoughts regarding your service. This tab helps you compare your businesses to other local businesses in your market. 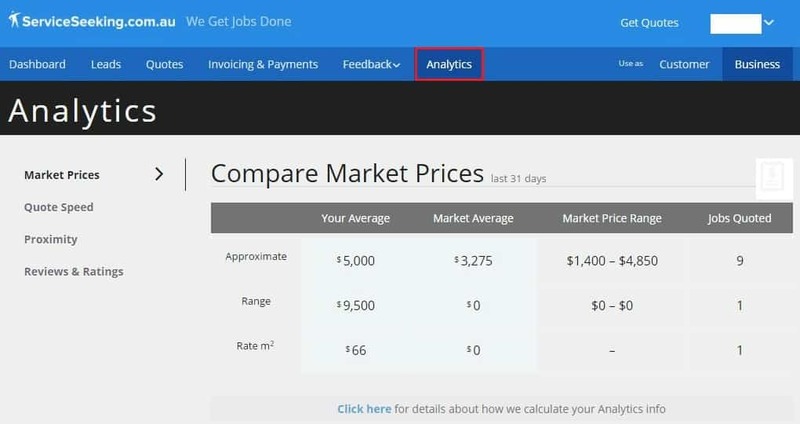 The Analytics tool shows you how your prices, quote speed, proximity to customers, reviews, and ratings fare in comparison to the market average. And there you have it! Learning how to navigate the different tabs on your account as well as the ins and outs of each functionality will greatly help you in becoming a top business on Service Seeking.